Reliant Construction was founded in 1997 by brothers Eddie Hudson and Joe Shaw. Both Eddie and Joe are second generation carpenters with over 50 years of combined remodeling experience. They each have extensive histories in structural work and all aspects of residential remodeling, from foundation to sheet rock to insulation to structural framing and more. Add to that our staff, which is comprised entirely of individuals with a structural background, licensed electricians, plumbers and hvac professionals, and you can rest assured that the vision you have for your home remodeling project is in good hands with Reliant Construction. Since 1997, Reliant Construction has completed over 3,000 jobs. We’ve worked in 2 episodes of Extreme Home Makeover. We’re members of BBB with A Rating. 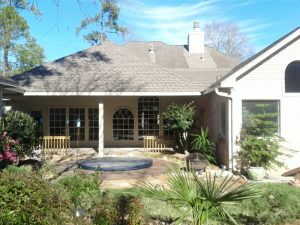 The team at Reliant Construction has been producing custom home plans since 1996 in Houston and surrounding areas. Our experience in this field ranges from small lake homes to luxurious estate homes. 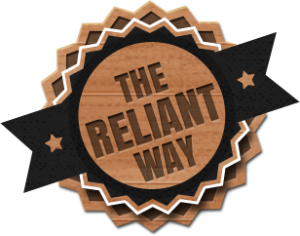 Part of "The Reliant Way" is an unmatched level of attention to detail in quality and customer satisfaction to ensure your custom home and/or remodeling project exceeds your expectations. Designing a home should be a cooperation between the designer and the homeowner. Ensure your wants and needs are met with your budget in mind. Our in-house construction estimator works with you and the designer to insure we stay within your budget. Our estimator, who is also a construction supervisor, ensures proper construction methods and applications are applied to the final set of drawings. This is crucial during the design process. Our estimator has more than 20 years of experience pricing total construction costs and can help you understand costs and stay within your budget. What we provide is unlike a typical designer who typically works by his or herself. Our team of experts provides you with professional assistance in costs, selections, and design. We understand that you’re busy and that you probably don’t have a lot of extra time to meet with us during the day. That’s why, after our first meeting, we can communicate with you via email or however you prefer. Of course, you are always welcome to meet us at our office as well. We do whatever it takes to effectively and efficiently complete your home project. You guys made my ideas come to life. You took my simple sketches and requests, put them on paper, and turned them into an amazing home!